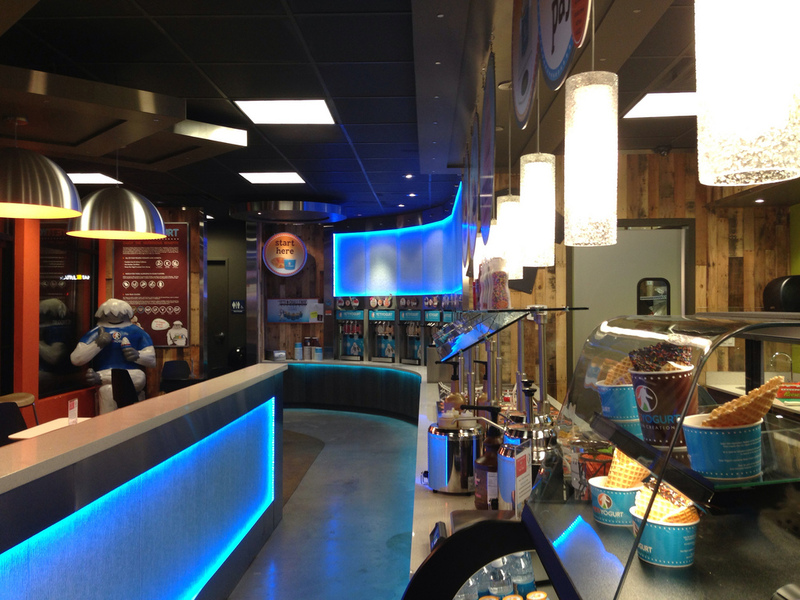 Yeti Yogurt is in the space previously occupied by Coldstone Creamery, next to Round Table Pizza at 2601 North Pearl Street, Suite 2601B, Tacoma WA. Dear husband and I stopped in after we did Tacoma’s Art Mingle and really enjoyed it. Dear husband especially liked that the lighted panel over the yogurt dispensers changed colors. Their website is here and their facebook page is here. Update 4/17: Not only is Yeti Yogurt gone, but the entire building has been demolished! 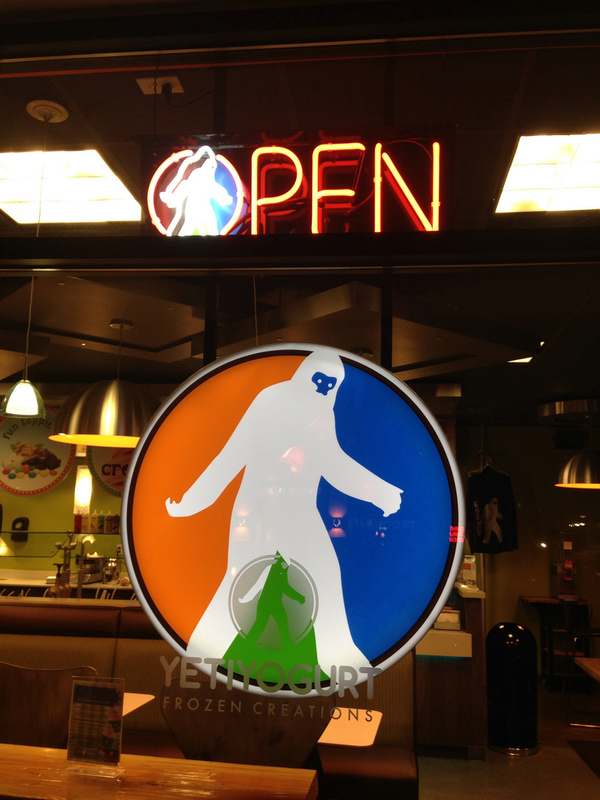 Yeti’s neighbor’s, Roundtable Pizza, have moved into an improved space in the same shopping center. This entry was posted in Coffee Shops, cafes and bistros, Restaurants, Tacoma, WA State - Pierce County and tagged frozen, Northgate, Tacoma, Yeti, Yeti Yogurt, yougert on September 22, 2013 by admin.